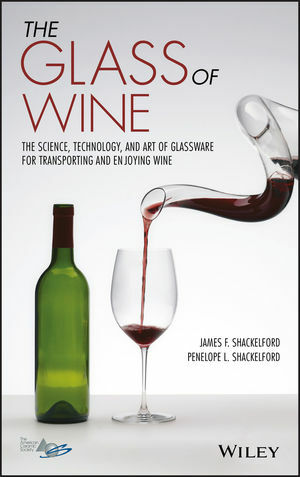 The authors deftly interweave compelling historical, technical, and esthetic narratives in their exploration of glass as the vessel of choice for holding, storing, and consuming wine. They discuss the traditions informing the shapes and sizes of wine bottles and wine glasses, and they demystify the selection of the "right glass" for red versus white varietals, as well as sparkling and dessert wines. In addition, they review the technology of modern glassmaking and consider the various roles glass plays in wineries—especially in the enologist's laboratory. And they consider the increasing use of aluminum and polymer containers and its potential impact on the central role of glass as the essential material for wine appreciation. JAMES F. SHACKELFORD, PHD, is Distinguished Professor Emeritus in the Department of Materials Science and Engineering at UC Davis. He is a member of The American Ceramic Society and ASM International and a Fellow of both societies.